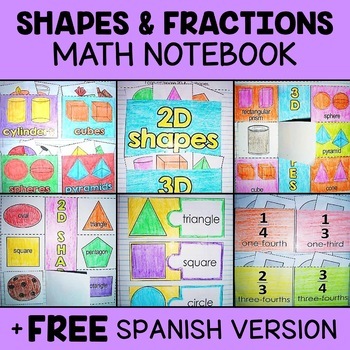 This easy prep resource includes a wide variety of math interactive notebook templates. 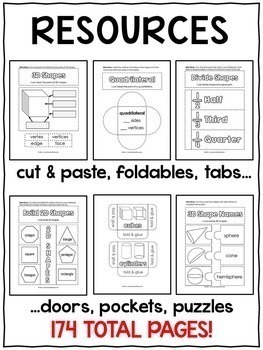 It includes cut and paste activities, foldables, tabs, doors, pockets, puzzles and more. It´s great for supporting the common core standards while building vocabulary and comprehension about the various academic topics. This resource has been teacher-tested and approved, downloads in a secure PDF file, has an easy prep format, uses blackline graphics, is easy to differentiate, works great for large or small groups and can be used during mini lessons or at learning centers. This resource has also been kid-tested and approved, uses kid-friendly fonts and graphics, reinforces academic vocabulary, includes an interactive component, uses easy-cut formatting for young learners, has large pieces for small hands, includes large writing spaces for beginner writers with primary lines, and includes powerful “I can…” statements to empower students to take ownership of their learning.